Whether you’re a working professional, a student, a stay-at-home parent, or a retiree, the last thing that you want is to come down with an infection like pneumonia. Pneumonia is a lung infection commonly found in older adults and infants and it can be life-threatening. That’s why it’s vital that you get a pneumonia vaccine. Dr. Jeremy Luckett and Nurse Practitioner Christina Wilkerson at Vineyard Primary Care provide pneumonia vaccinations to men and women in the Owensboro, Kentucky area. Call the office to schedule your shots today. Pneumonia is an infection of the lungs that can cause a cough, fever, and difficulty breathing. There are two forms of pneumonia, bacterial and viral. Though the cause may be different, the effects are the same. With any luck you will be feeling better with treatment in two to three weeks. Unfortunately, for people who are already sick, infants, and the elderly, getting pneumonia can actually be quite dangerous. Pneumonia can be caused by bacteria or a virus. Both can bring on the same set of symptoms as they cause similar infections and inflammation in your lungs. If you have a cough, fever, shortness of breath, shaking, chest pain, a quick heartbeat, a feeling of weakness, nausea, vomiting, or diarrhea, you should see your doctor for diagnosis and treatment. A mild case of pneumonia, called “walking pneumonia” may seem less serious, but it still requires immediate attention by a medical professional as it could get worse. Pneumonia symptoms for seniors can even be worse as they may also include symptoms of confusion or delirium. In cases where a lung disease is already present, that disease is sure to get worse in the presence of pneumonia. Immediate medical attention is needed in these cases. When you come to Vineyard Primary Care, Dr. Luckett or Christina Wilkerson, APRN will ask you about your symptoms and perform a physical examination. If he determines that you have pneumonia and it is bacterial in nature, he may prescribe you a regimen of antibiotics. Be sure to follow dosing directions and always complete your full course of antibiotics prescribed. If your pneumonia is viral in nature, Dr. Luckett will prescribe an antiviral medication that will stop the virus from spreading throughout your body. The best course of treatment for pneumonia is preventive. Dr. Luckett and his team can immunize you with a PrevnarⓇ or PneumovaxⓇ 23 vaccine. 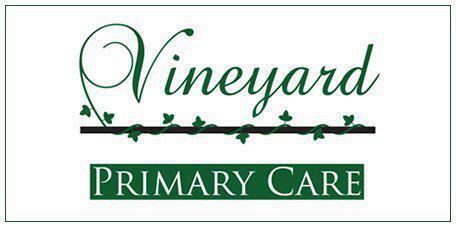 Vineyard Primary Care also carries the vaccine, ZostavaxⓇ for people concerned about getting shingles.